Taxi card payment and digital media solutions are now available in the UK thanks to VeriFone who are offering the system free to London’s licensed black cabs in order to modernize the taxi payments infrastructure and improve passenger journeys. 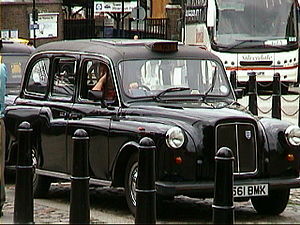 The VeriFone system has been approved for TX model taxis by Transport for London’s Taxi and Private Hire – the taxi licensing authority – and recruitment for drivers to use the system is underway. The system, which was initially available in a pilot program beginning in December and is now available for a wider release, integrates with taxi meters and allows drivers to easily accept credit, debit and contactless cards, while also streaming digital content to passengers. VeriFone is also launching its VeriFone Entertainment Network to deliver compelling onboard media from leading broadcasters and advertisers. With the ability to deliver real-time media, the VeriFone system provides a new, highly targeted channel for advertisers. VeriFone’s unique card payment system comprises a driver-side payment device with receipt printer, a fixed passenger-facing secure PIN entry device and a full color display screen for safety information, advertisements and streaming media. Card transactions are routed through VeriFone’s secure PAYware payment gateway and are settled to the driver’s account promptly three times per week. VeriFone has deployed transportation systems all around the world, from Istanbul to South Africa to New York City. In New York City, VeriFone’s taxi payment system is now deployed in 50% of taxis and VeriFone Media Solutions provide content to more than 90%.